I like that Chlorophyllin by Life Extension comes from magnesium, unfortunately it made my stomach hurt a little, since I have erosive gastritis. 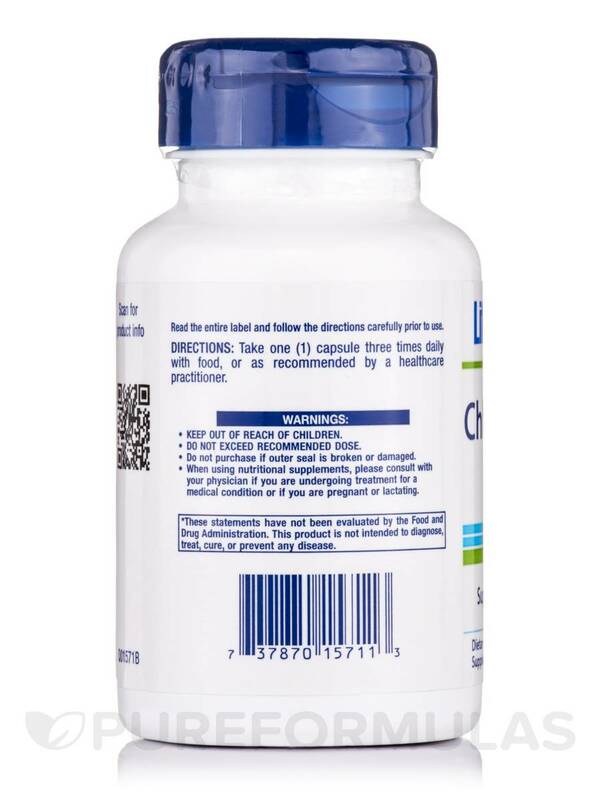 Chlorophyllin 100 mg - 100 Vegetarian Capsules from Life Extension® is a supplement that protects Deoxyribonucleic Acid (DNA)‚ the key genetic material in your cell. 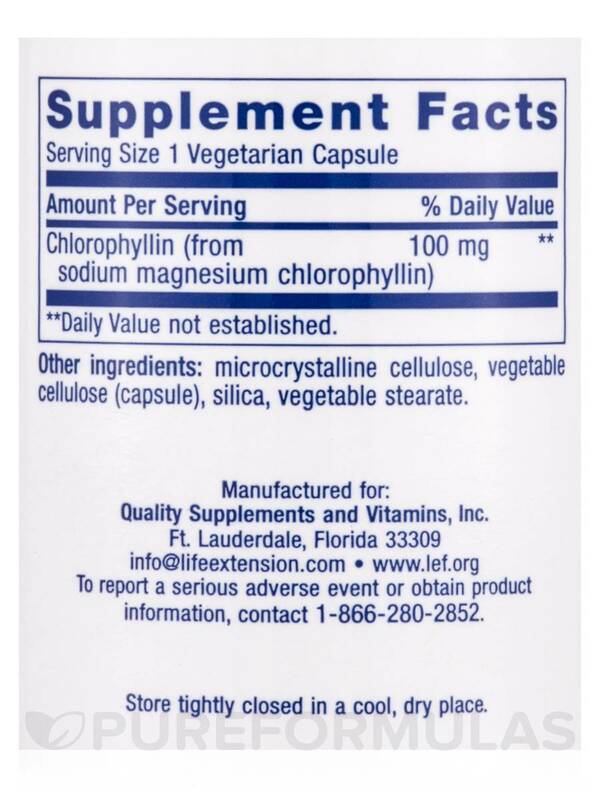 This vegetarian capsule contains chlorophyllin that could reduce free radical induced oxidative stress in your body. DNA is the material present inside the cells mostly within the nucleus. It passes information from one generation to another. 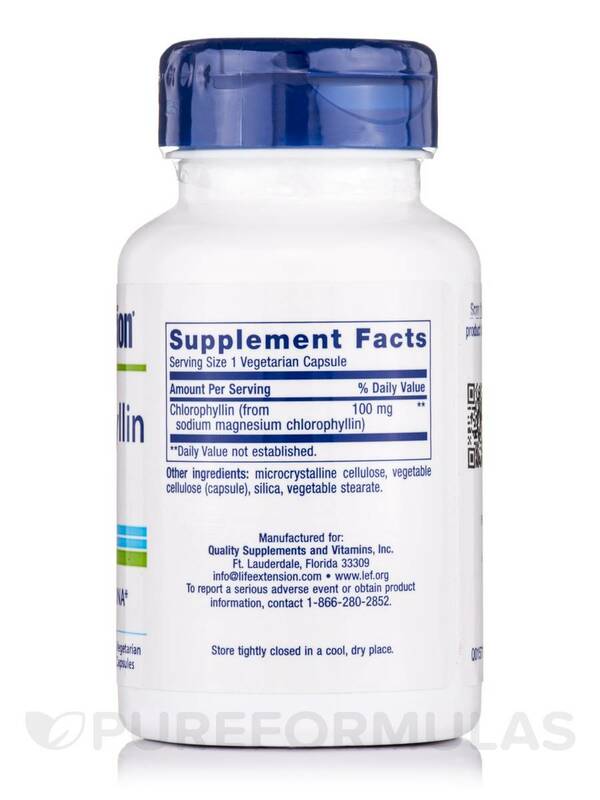 Chlorophyllin present in this supplement from Life Extension® comes from chlorophyll and is water soluble. It may have natural antioxidant properties. Studies reveal that chlorophyllin could exert a protective effect on DNA exposed to free radicals. Free radicals are unstable molecules that could harm tissues. Many people believe that environmental factors like coal‚ dust and other toxins might result in harmful amines in the body that could potentially provoke gene mutations. Chlorophyllin might defend mitochondria from damage. 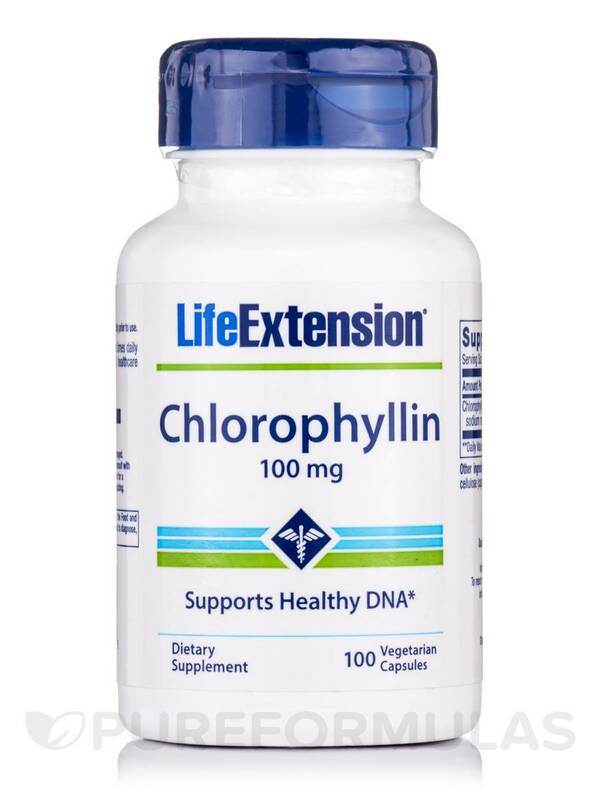 Get Chlorophyllin 100 mg - 100 Vegetarian Capsules from Life Extension® that could help protect DNA from oxidative stress. 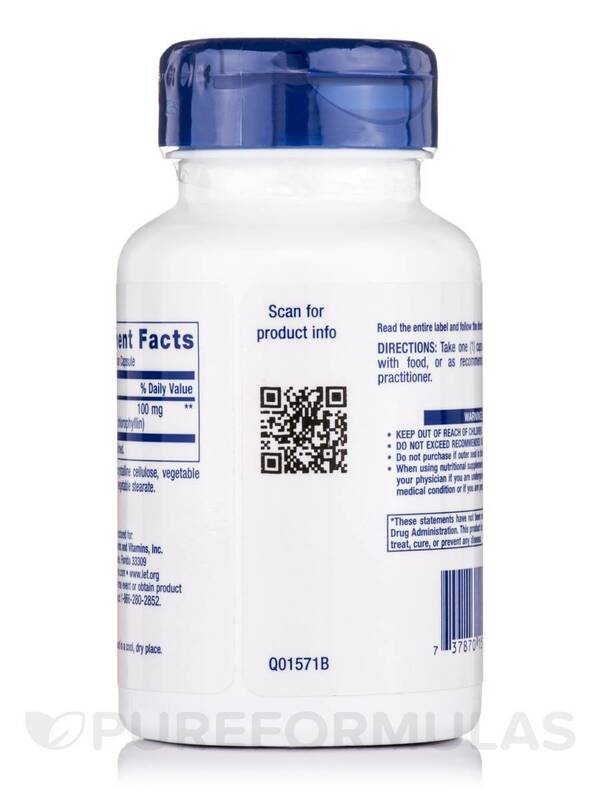 Other ingredients: microcrystalline cellulose‚ vegetable cellulose (capsule)‚ silica‚ vegetable stearate. 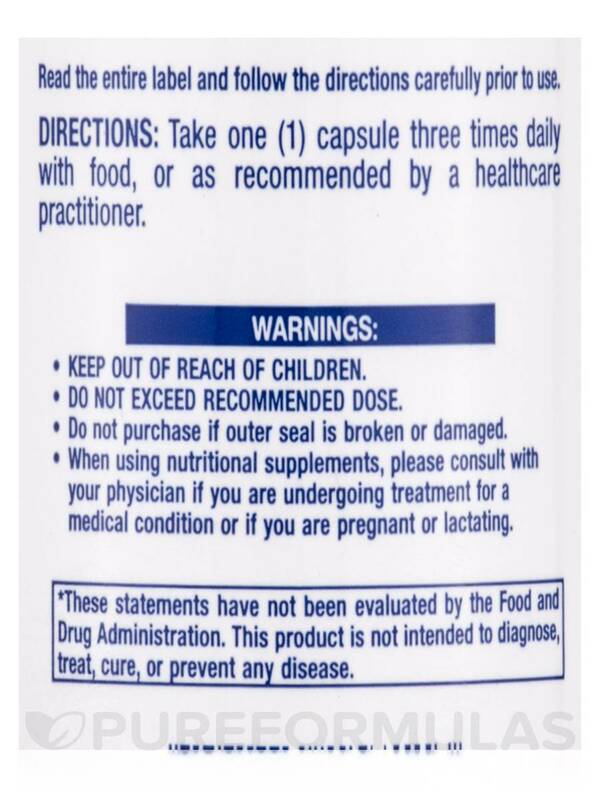 Take one capsule three times daily with food‚ or as recommended by a healthcare practitioner. I was thrilled to find Chlorophyllin by Life Extension at Pureformulas!! I was ordering it for a much higher price and spending $7.00 to have it shipped. I received my product in two days and will order from Pureformulas again and again!! !